Dog biscuits? Not so much | Can I Bring the Dog? On the way home from the Collie Club trial we stopped for ice cream. Usually Chico has a kiddie cone, but Papa’s sells a dog serving for the same price as a kiddie cone, so I tried one. It comes in a bowl, with a pair of dog biscuits on the side. And my discerning eater was so full after eating the ice cream that he left the less desirable bickies to the side. 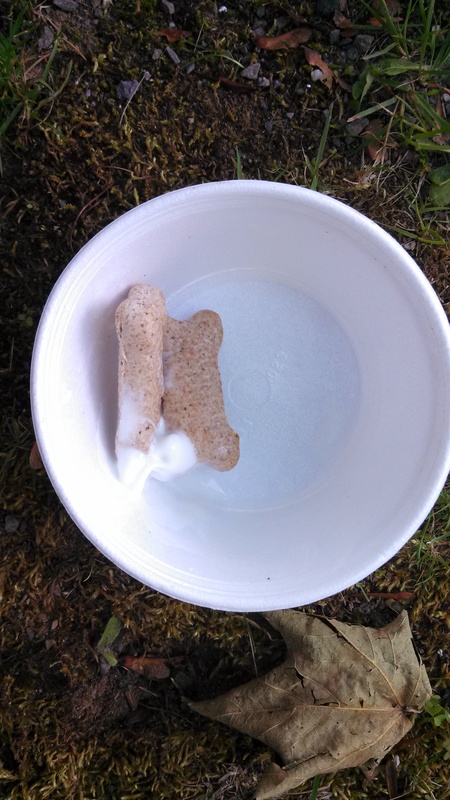 This entry was posted in Uncategorized and tagged dog ice cream. Bookmark the permalink. Chico is in the process of training the work crew at Papa’s. Smaht dawg. Or training me to get cones not bones.